Startup Insider is a series of articles with the goal of helping aspiring founders and entrepreneurs understand the ins and outs of starting a startup. You can sign up to stay up to date with this series here. There are multiple challenges that come with bringing technologies like solar panels to developing countries where the infrastructure and local economy is simply different from more developed western nations like the US. But at the same time, often, these developing countries are the ones that need these technological innovations the most. This was the big realization Andy Moon and Jason Gray had when they were working for a major solar company, Sun Edison. This was when Andy received a call from the head doctor of nonprofit Possible Health explaining to him how hard it was to deliver quality healthcare in Nepal due to the lack of electricity. Andy and Jason decided to work with this doctor and SunFarmer was born. SunFarmer is a nonprofit startup that provides reliable and affordable energy to hospitals, schools, farms and businesses in the developing world. I got to interview Sun Farmer Co-founder and CEO Andy Moon to learn more about how Sun Farmer got its start. While Andy had studied Economics back in Stanford, he had always been interested in social impact and the environment. Right after college, Andy spent a few years in McKinsey doing consulting for social impact organizations before joining Sun Edison where he would gain the necessary domain expertise in the solar industry. In between these experiences, Andy continued to do a lot of volunteer work that led him to build relationships with people in developing countries. This would prove to be useful when Andy and Jason decided to start SunFarmer in Nepal after deciding that they just had to do it. Andy shared, "You can sit in the office and do analysis for years and not actually dive in and do stuff but we were in the approach of 'let's get started and get things done'. In Nepal, we had a lot of connections and we were lucky to find our Nepal country director. We also had connections to potential customers so we just decided to go for it." He added, "Working in the developing world is a whole different ball game. 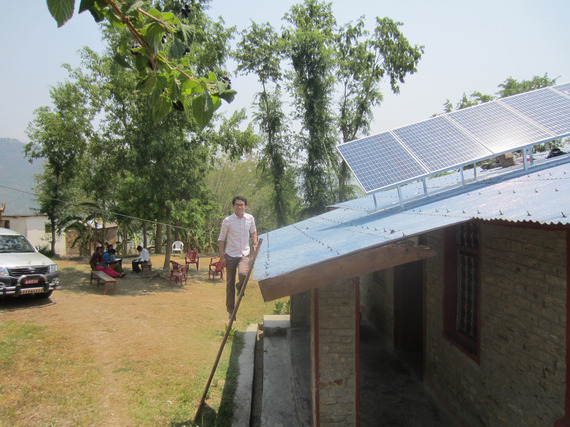 Things like rules and law, just getting things done was really difficult so for us there was a huge learning curve in terms of how do we start a business in Nepal, how do we recruit people, how do we get setup, how do we make sure we deliver high-quality solar." One of the key value propositions of SunFarmer is that it really focuses on providing low-cost solar energy systems. SunFarmer is able to do this by setting up a local team that handles the design and makes sure that the system is properly optimized for the location. 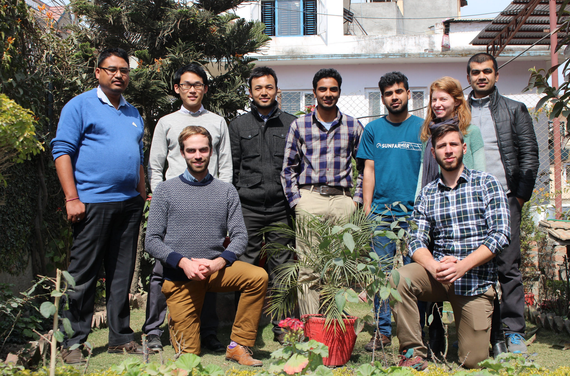 Andy shared, "We thought very carefully about how we could work in Nepal without disrupting the local ecosystem. 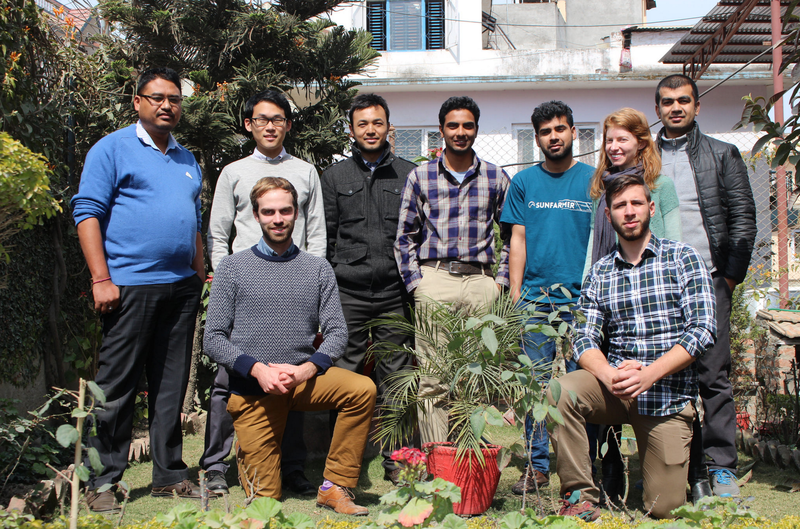 We have 11 staff in Nepal and we have 3 full-time staff in New York. The vision is we'll be growing our Nepal staff rapidly and our US staff will remain very very small." By setting up the local entity as a for-profit, SunFarmer has been able to create a sustainable model where they work closely with customers while also making sure that customers are accountable and are paying for something they want. SunFarmer participates in the local bids and works with local partners. While the entity in Nepal is a for-profit, the umbrella organization incorporated in the US is a nonprofit organization. Andy shed some light as to why they decided to do it this way, "There was a lot of debate back and forth. How should we do this? What should be the structure? We decided to be a nonprofit because we wanted to have the freedom to work in these developing countries because if we were a for-profit, Nepal honestly wouldn't be our first choice because it's very difficult to make enough money to pay back any for-profit investors because we would have to charge a lot more to get returns for our investors. " With a goal of learning from the best, Andy decided to apply for Y Combinator and ended up getting in this past Winter Class. He shared more about the experience saying, "YC was a great experience for us. We had a few other nonprofit friends and so for us, being able to work closely and being together with so many other startups was a really awesome experience because a lot of startups whether for-profit or nonprofit have a lot of the same struggles so the biggest takeaway from YC was to really focus and making sure we stayed focus." This focus has translated into two main initiatives that SunFarmer focuses on: One is serving as a one-stop shop of large and complex solar projects for hospitals, businesses and schools. Two is providing solar irrigation for farmers and so farmers that need water but can't pay for irrigation can pay for our service in a 3-5 year installment period. Andy shared three main pieces of advice to aspiring startup founders. He said, "First, think big. All these problems are hard so try to set your sights high and solve a problem that is a big problem. Second, it's really important to have a good team especially early stage because it's so difficult to get things off the ground and especially a team of people who have the same mindset and commitment that you have is really important." "Number three is to really set yourself milestones and short term goals that you stick to and if you're not hitting your goals, ask yourself why and if it makes sense to continue on that path or pivot to a new model but really giving yourself enough time to accomplish your goals but also asking yourself if you're on the right track is important to know if you're in the right path."